Summer movie marathons are more thrilling and exciting than ever with the Seiki LC46G82 46" LCD HDTV. Call up your friends and pull up the sofa to enjoy all your favorite TV programming and hit movies on this 46-inch Full HD 1080p Resolution display screen. The Seiki LC46G82 46" LCD HDTV achieves high-quality visuals, crisp colors and superior sounds thanks to full 1080p resolution, 4,500:1 Dynamic Contrast Ratio, a quick 6.5ms response time and surround audio speakers. 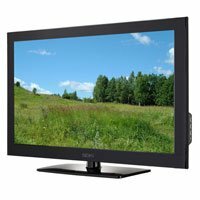 0 Response to "Seiki LC46G82 46" 1080p 60Hz LCD HDTV"